The Wizards went 3-2 in this year’s Las Vegas Summer League tournament getting knocked off in the semi-finals by the eventual champions, the Chicago Bulls. As expected, Kelly Oubre Jr. was the star of the show for the Wizards earning him a spot on the All-NBA Summer League Second Team. There will be some final jockeying for the final two roster spots amongst many of these summer league players come October. But first, this is what we learned about the Wizards during their time in Vegas. Kelly Oubre Jr. is making progress but still has a ways to go. Oubre does not lack confidence, that’s for sure. Oubre averaged a team-high 16 shots per contest but shot just 37.5 percent over the course of those five games. Oubre knew that he was the leader and best player on the team and acted accordingly. He often brought the ball up, was very vocal after scoring tough baskets around the rim in traffic and was the leader in huddles. It’s great to see that Oubre crought it upon himself to lead this team that ultimately landed him a spot on the All-NBA Summer League Second Team. In addition, he looked much more confident when rising up to shoot jump shots and three-pointers. Although his three-point field goal percentage won’t reflect it as shot just 25 percent from range; his jump shot looked way better than it did last year. Often times last year, it seemed as if Oubre was shot-putting the ball which often resulted in his shot coming up short and to the left. That was not the case this summer league as Oubre’s shot looked much crisper. However, there were some growing pains. Oubre averaged 2.8 turnovers per contest. He often tried forcing the matter especially when the Wizards were in a bit of a scoring drought. Oubre would penetrate all the way to the hole where there were often 7-footers waiting for him or he’d force up a contested shot. Oubre would have been better suited pulling up in the 10-12 foot range for an uncontested jumper rather than trying to get all the way to the hole. His rebounding was a bright spot as he averaged 5.6 rebounds per game. But it would have been nice to see him act as more of a distributor with the ball in his hands as he averaged just 1.8 assists. Oubre has shown improvement in a few key areas but still has a ways to go if he’s going to have an impact on this upcoming season. Jarell Eddie likely played his way into a roster spot. Eddie was the second-highest scorer for the Wizards during Summer League play averaging 13.2 points per contest. The front office and Eddie’s camp agreed to push contract negotiations back which all but guarantees Eddie to be a lock for a roster spot this upcoming season. Eddie mainly played in garbage time this past season and would often hoist up three-pointers when in the ball game. The Wizards got to see a different side of Eddie this Summer League as he was attacking the hole and curling off of screens in addition to shooting threes. Eddie shot an impressive 48 percent from the field during Summer League play as well as an equally impressive 46 percent from three-point range. Eddie single handily kept the Wizards in their final game versus the Bulls as he shot 5-7 from three-point range scoring a game-high 22 points. Eddie was the veteran amongst this group of players and played like it. He showed poise and that he has way more in his arsenal than just an impressive three-point shot. If the Wizards don’t have a roster spot for Eddie, he shouldn’t have a problem finding a home somewhere else. Danuel House went from an unknown to earning himself a spot at training camp. Danuel House was an undrafted rookie out of Texas A&M. But after a week in Las Vegas, House played his way into an invite to camp and has an outside shot of making the team. House is a tenacious player and plays the game as if he’s got something to prove. House averaged 11.2 points per game off of the bench, the most of any Wizards’ reserve. The highlight of House’s Summer League campaign came in the second meeting against the Hawks when he scored the first eight points of the fourth quarter for the Wizards en route to their 71-60 comeback win over the Hawks. House scored 12 points in the quarter including a nifty step-back three-pointer. The Wizards currently have just two small forwards on the roster (Porter, Oubre). As mentioned, House has an outside shot to make the team. The Wizards better take a long hard look cause their third small forward may be sitting right in front of them. Aaron White has a long way to go to make the NBA. I was hoping to see some improvement from White but that wasn’t the case. Although he averaged 7.2 points and 5.2 rebounds per contest; the game looked way too fast for him. When drafted, the Wizards thought that White might eventually morph into their stretch-4 of the future. The problem is, he’s not very stretchy. White hit just 29 percent of his three-pointers with most of his baskets coming on dunks or put-backs from close in. Although his stats looked alright, White looked slow out on the court. That doesn’t bode well for White as most of the competition was coming against players who won’t even make an NBA roster. White doesn’t do anything outside of himself nor does he force shots. However, he has an uphill climb if he’s going to get that call from the Wizards to come play in the NBA. 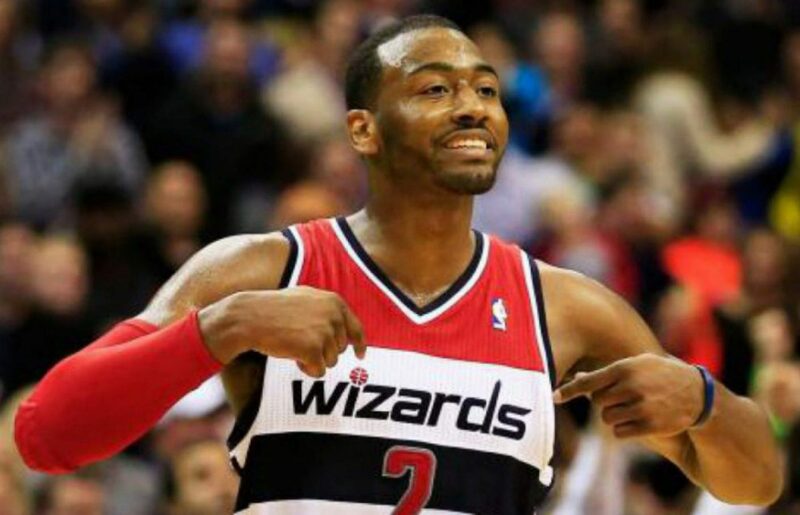 Previous postWizards vs. Hawks final score: Washington comes back from 17 point deficit to win 71-60.